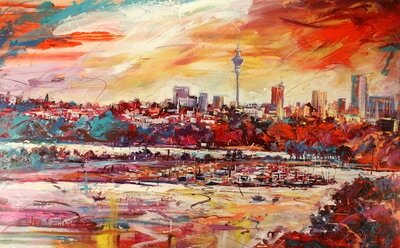 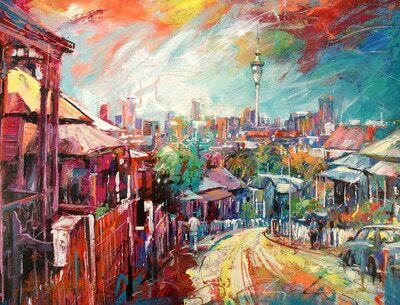 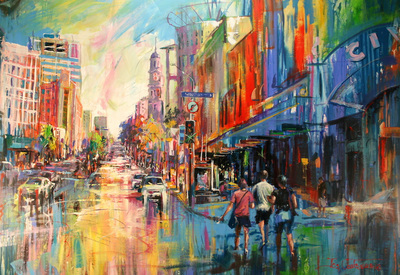 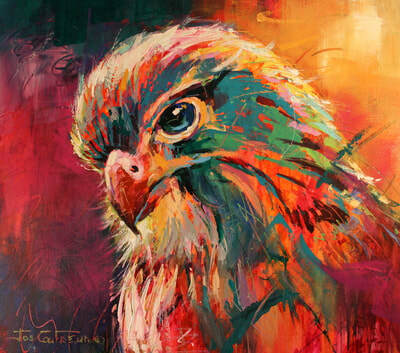 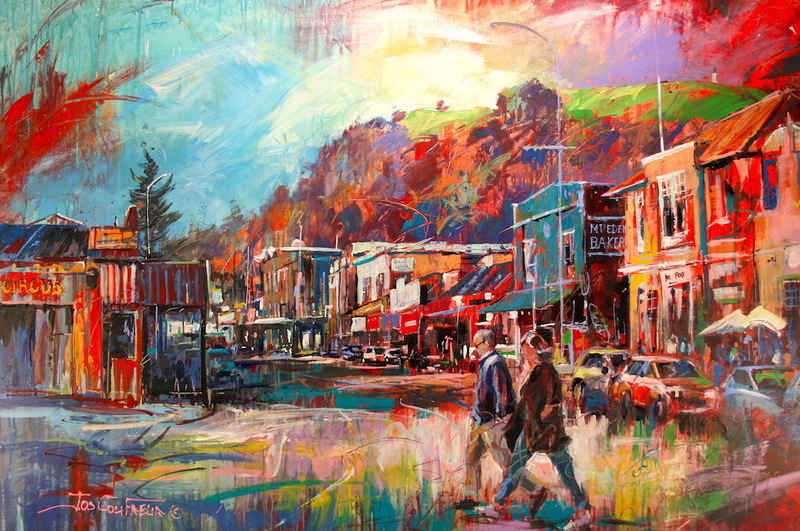 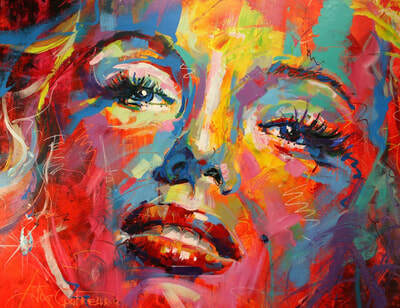 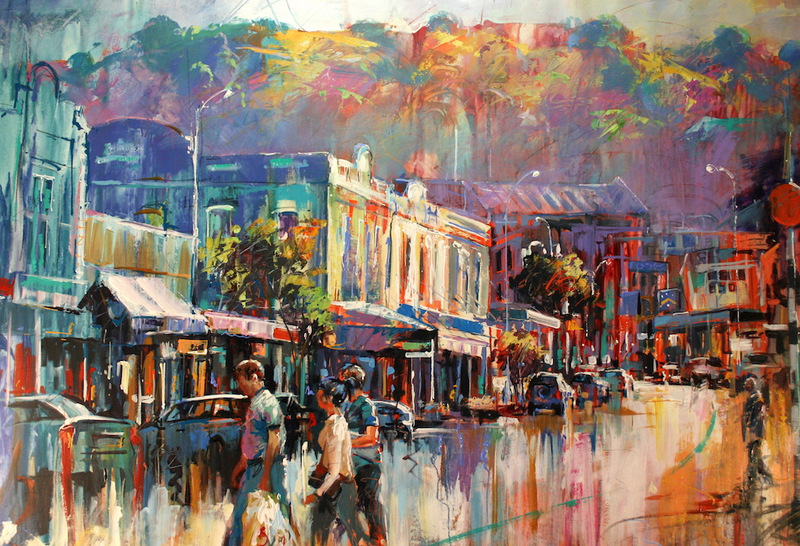 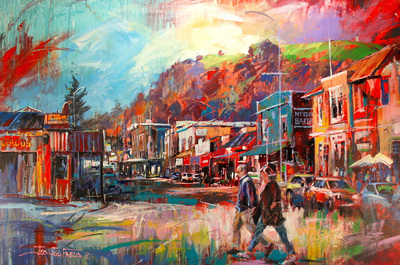 Jos Coufreur is a renowned New Zealand painter with a unique style that fuses realism with expressive abstraction. 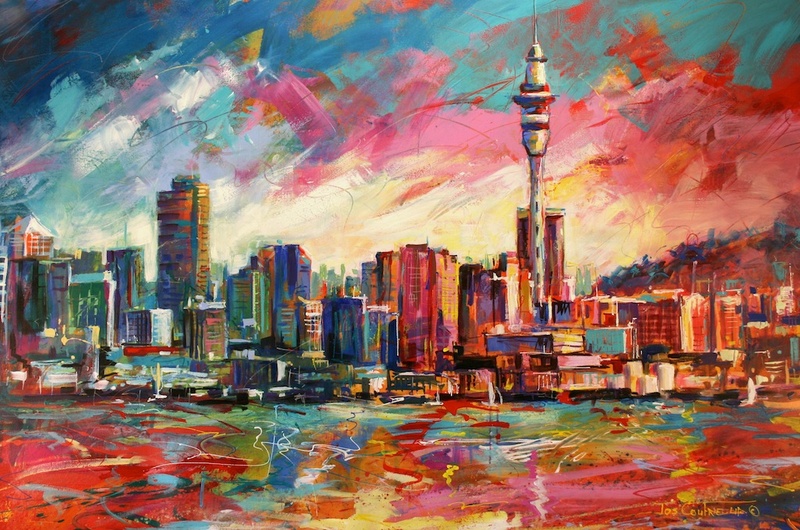 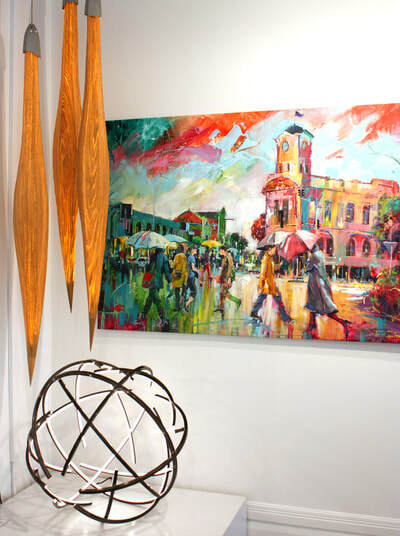 Coufreur's works have broad appeal and are collected locally and internationally. 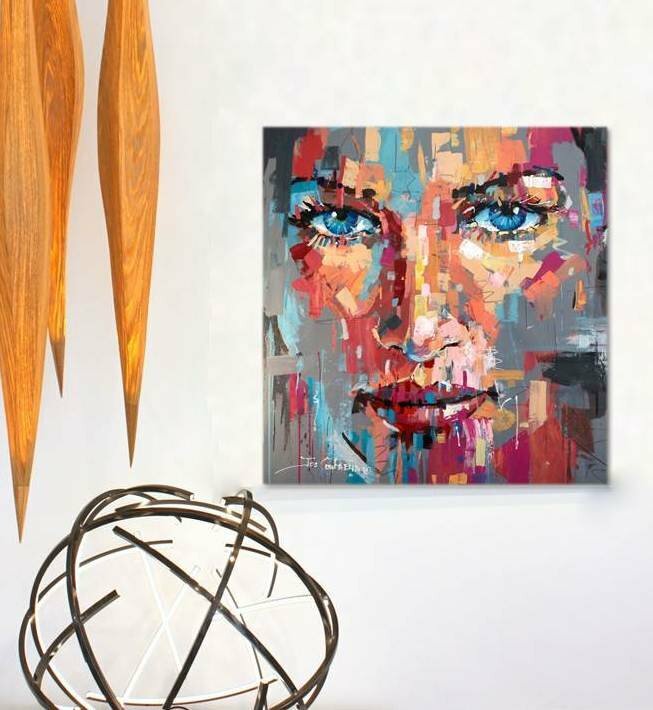 Coufreur's work can be identified by its use of gestural strokes, bold colour combinations and a careful balance of recognisable subject and abstraction. 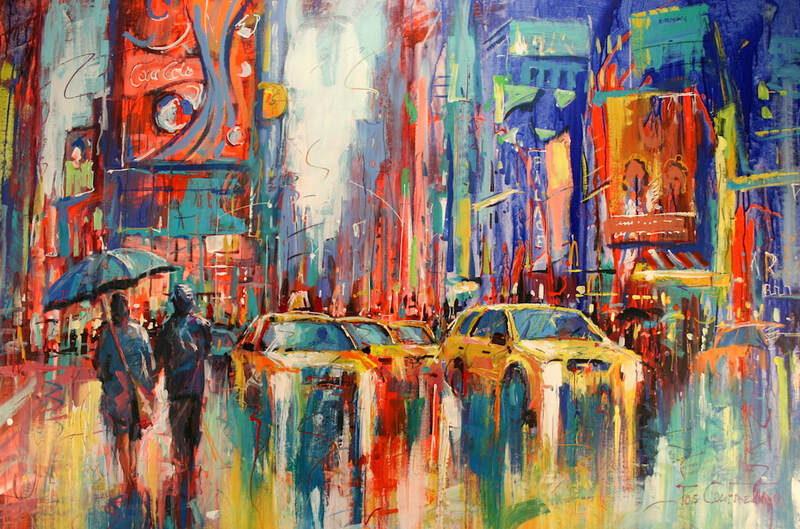 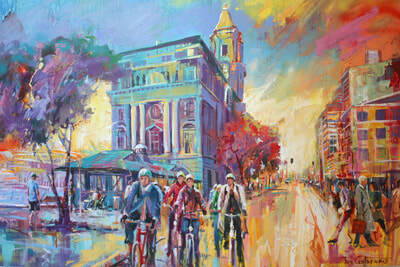 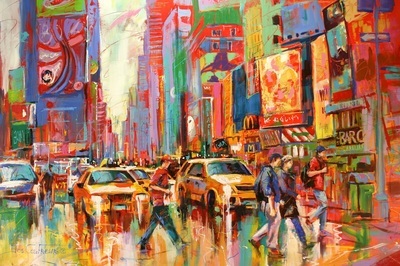 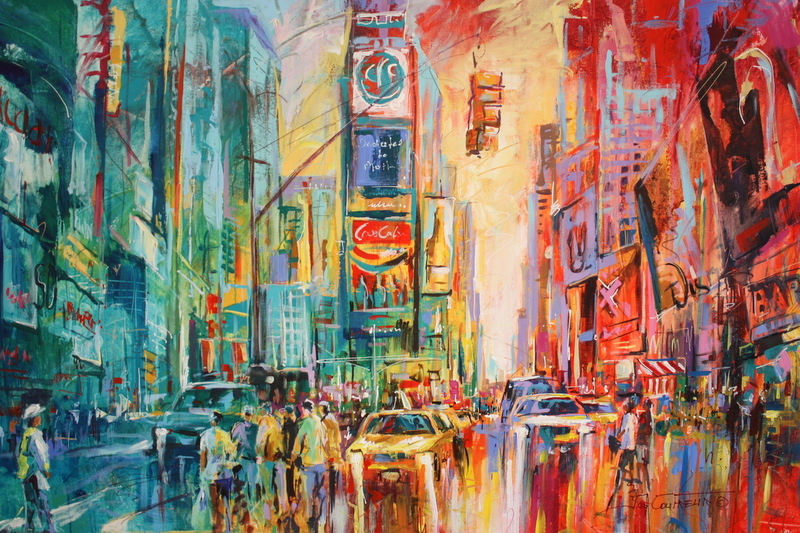 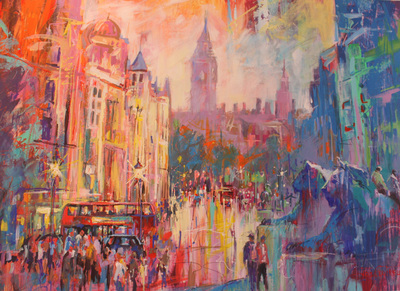 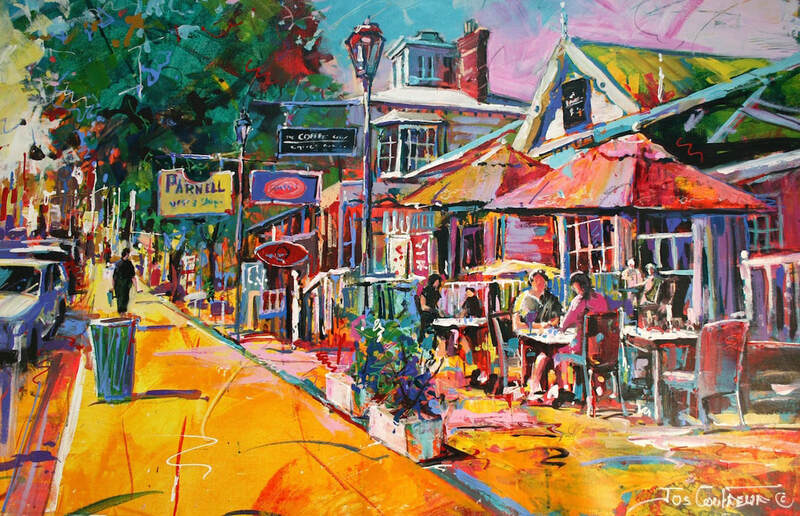 Common subject matter includes iconic people, cityscapes and animals. 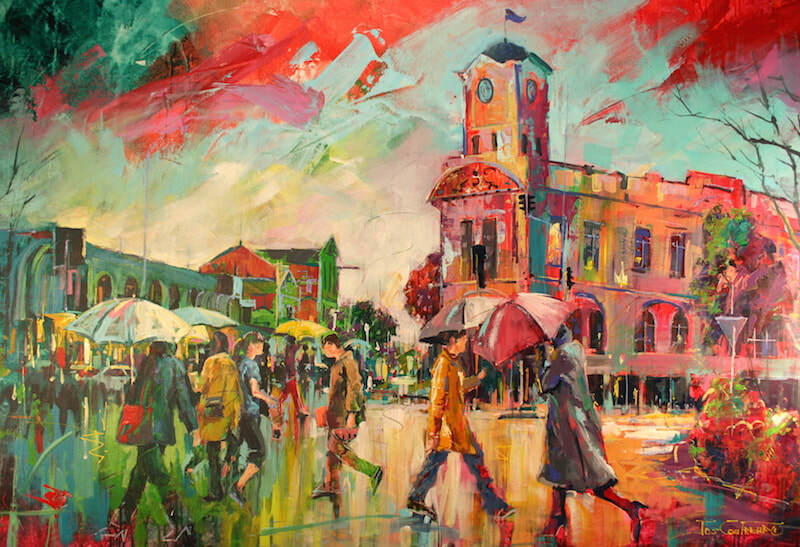 ​Jos took up painting and drawing at a very early age. 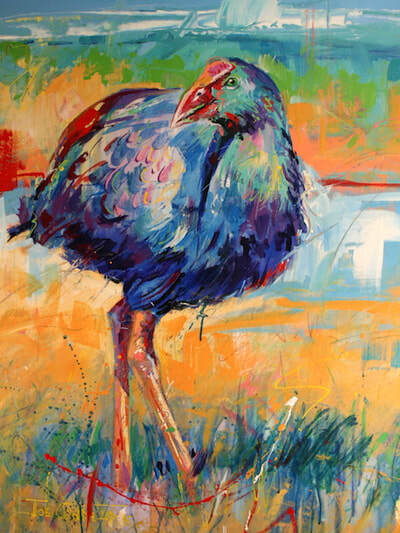 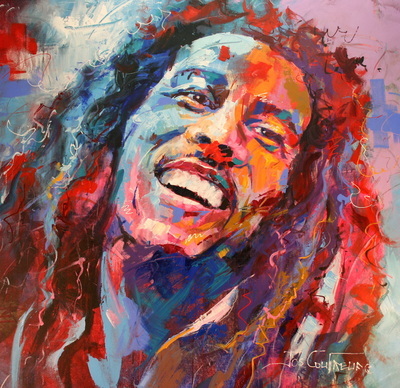 He first began to exhibit and sell his artwork from the age of 13 in Australia. 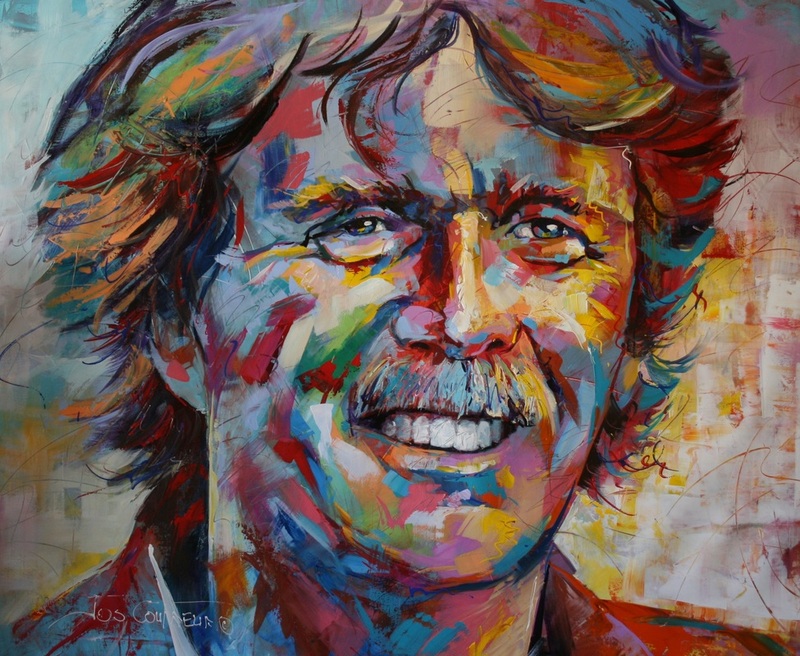 When he was 17, his Dutch parents took the family back to Holland where he attended the Royal Academy of Art in Den Bosch. Here he developed his foundations in realism among other fine art techniques. 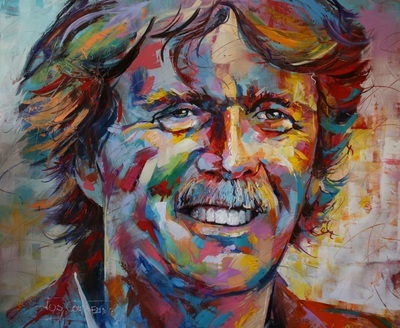 Later he met and married his wife Hilly (also an abstract painter) who would also become his creative partner. 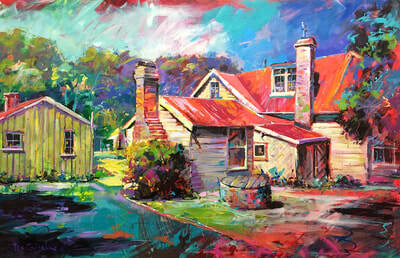 Together they moved to New Zealand, establishing a home and studio in Cambridge. 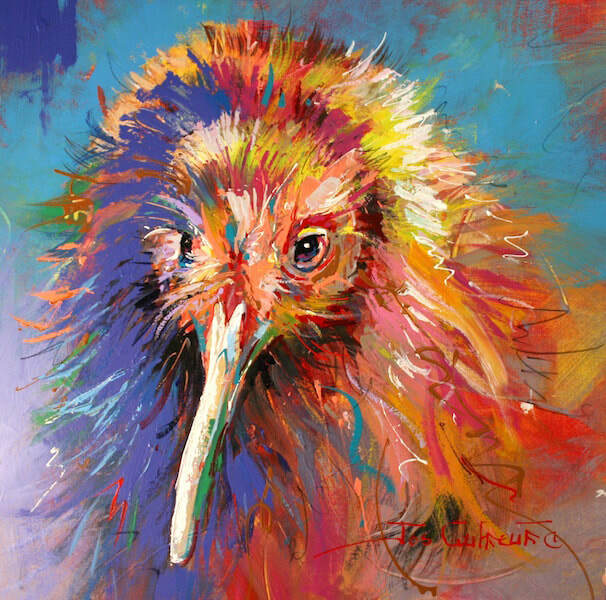 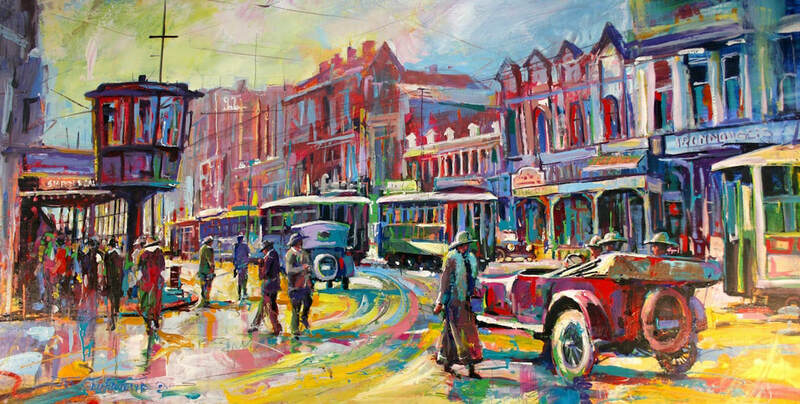 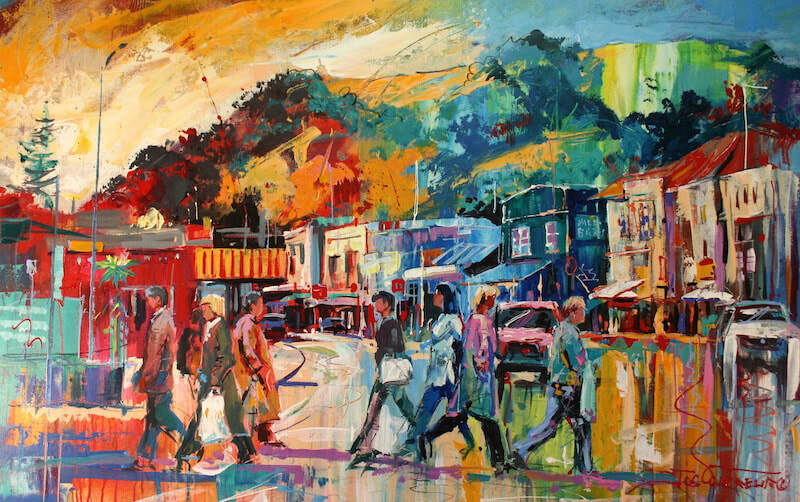 After some 12 years painting from the Waikato, Jos had established a name for himself in the New Zealand art market. 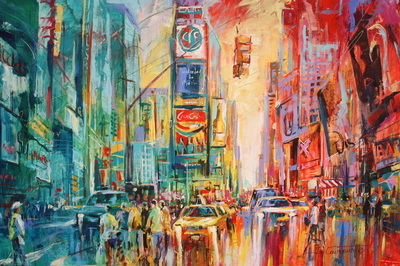 His early works have been described as "Romantic Realism" due to the inclusion of looser strokes and emotive qualities. Later they moved to the Bay of Plenty which provided a new environment in which to paint. More recently, familial reasons have seen Jos and Hilly move to Australia where he continues to paint prolifically for both New Zealand exhibitions and international galleries. Coufreur's recent works push the foundations of his practise to an increasingly loose and bold style, injecting dynamism and energy to his subject matter with the use of scraping, layering and blurring. 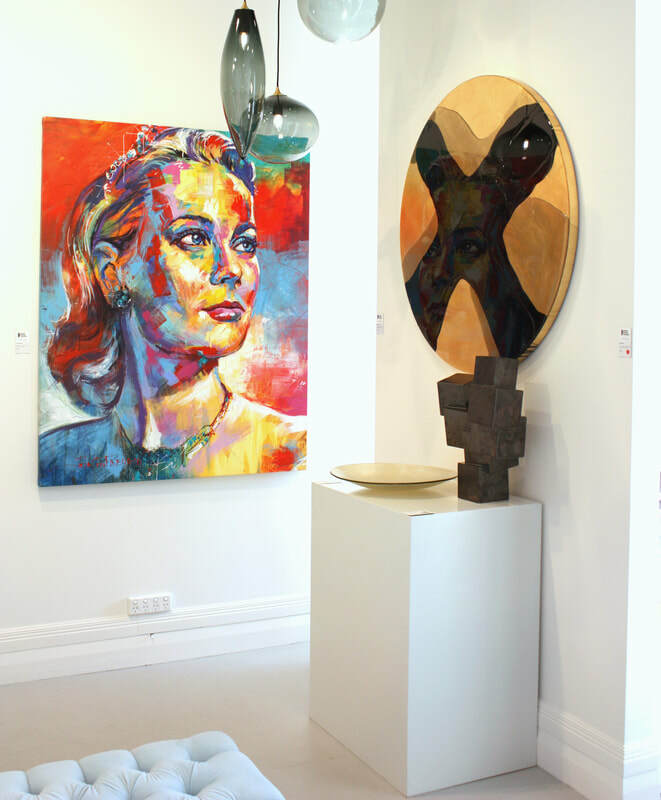 Recent works tackle larger canvases which enable the abstracted regions to take centre stage. 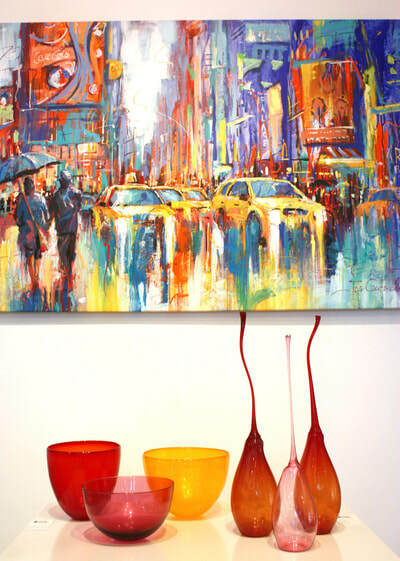 Painting in acrylic enables Coufreur to work quickly, preventing drying time from interrupting the flow of the composition. 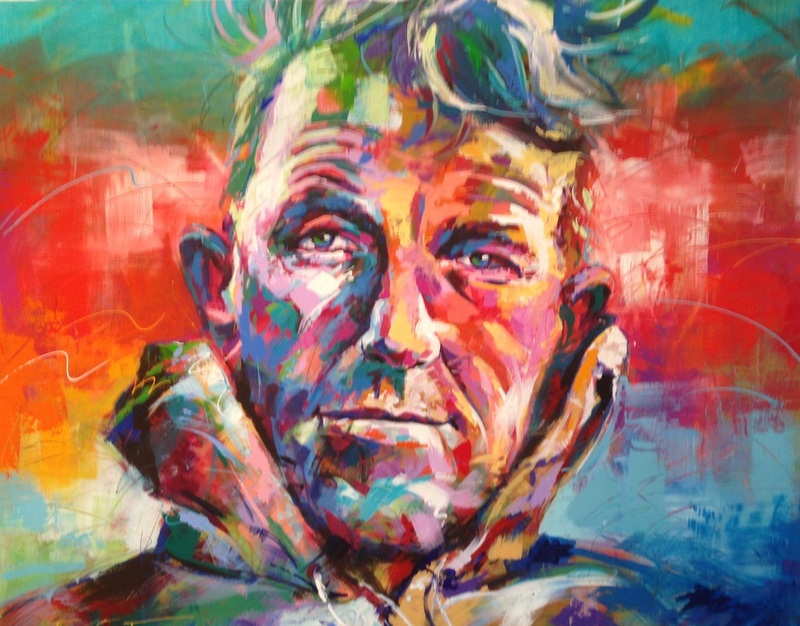 Working standing, he has been known to work for hours on end without breaks to capture the subject matter with spontaneity and bold energy- one can certainly feel the artist's physical exertion when standing in front of one of these large canvases. 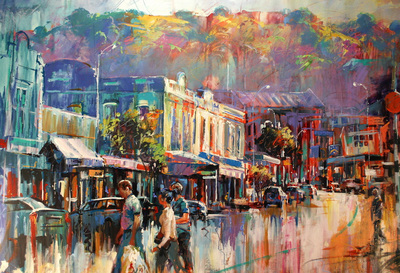 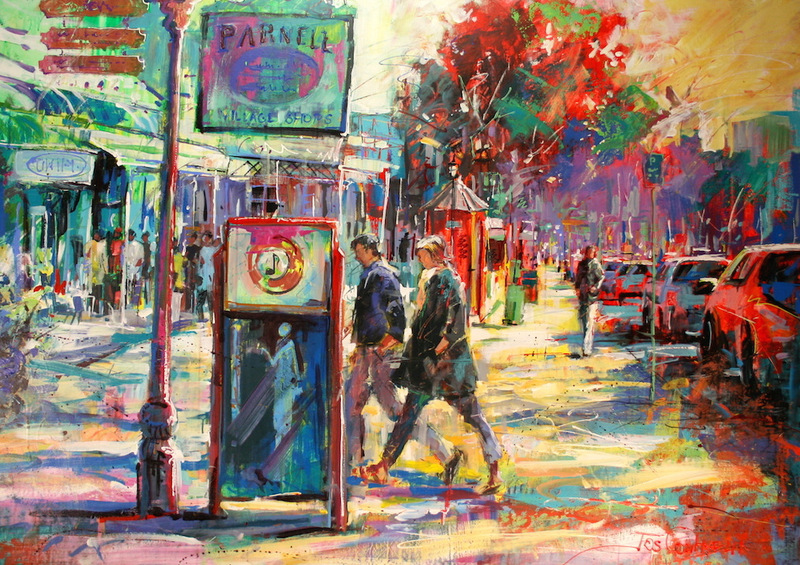 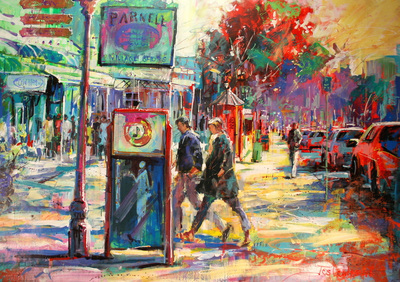 Coufreur has won numerous art awards for his painting and has completed notable commissions for clients like Sir Patrick Hogan and Bart Cummings. 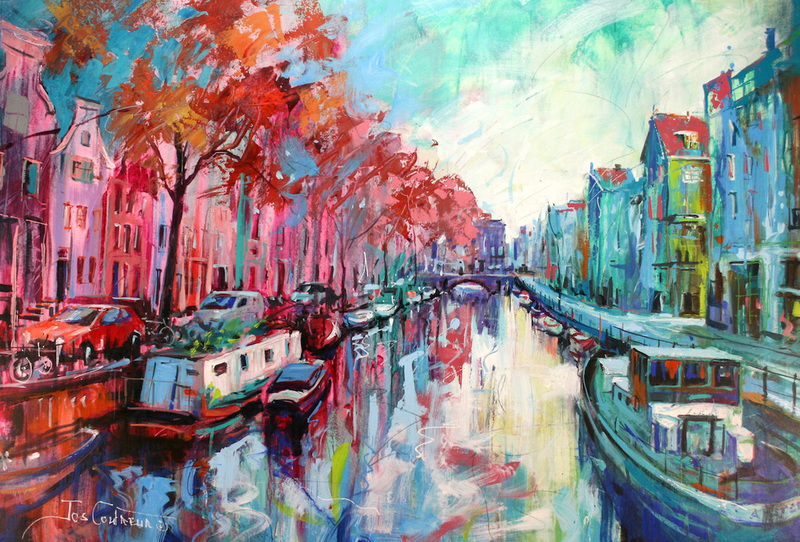 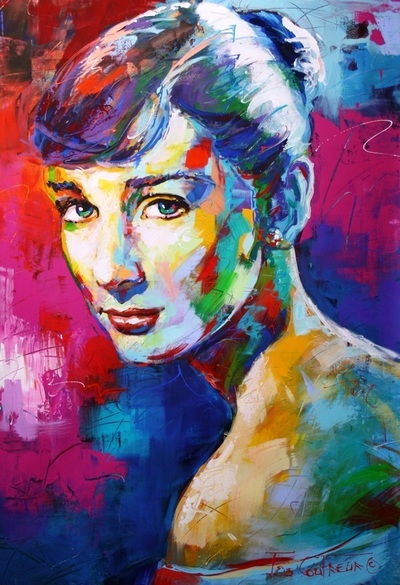 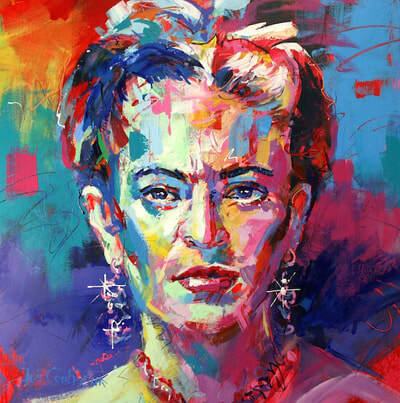 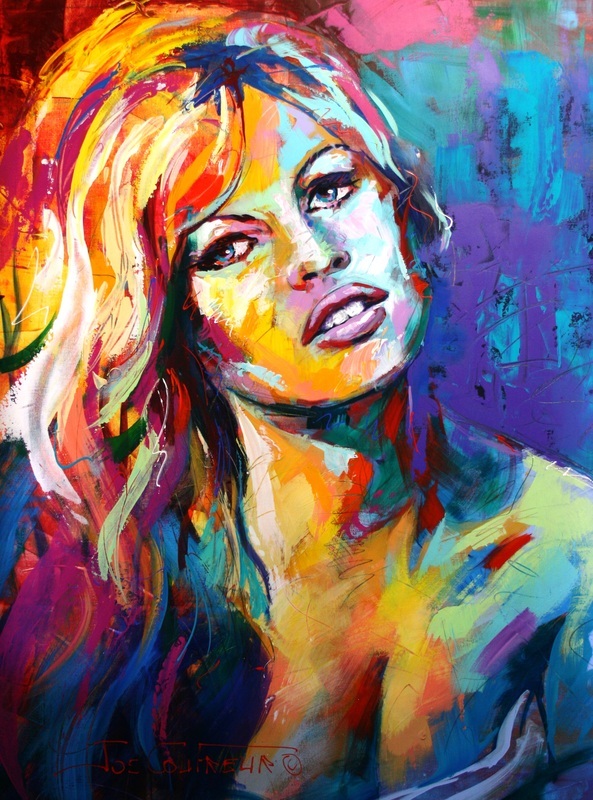 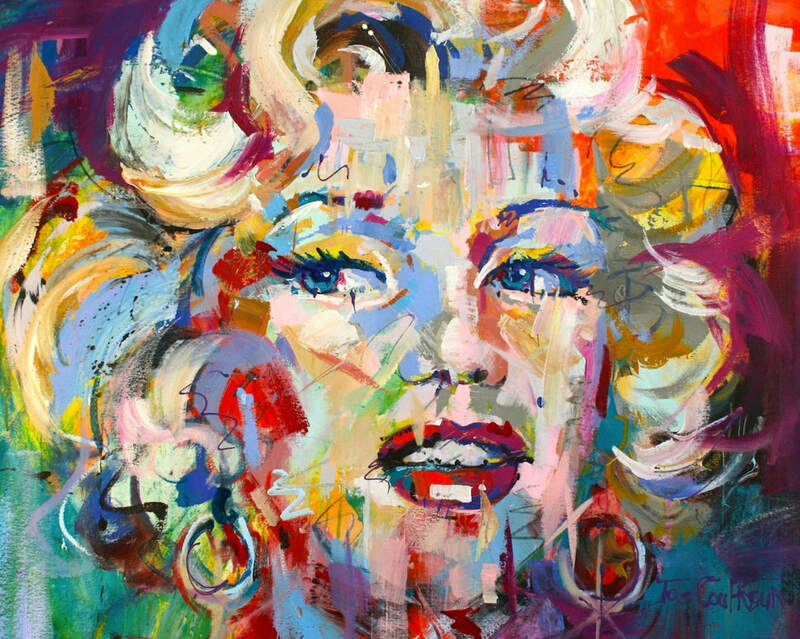 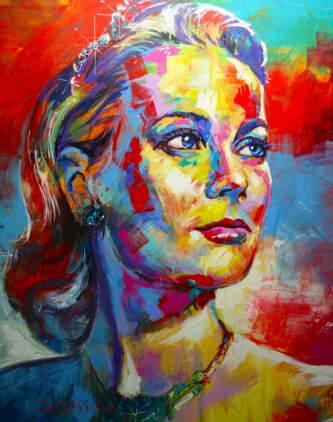 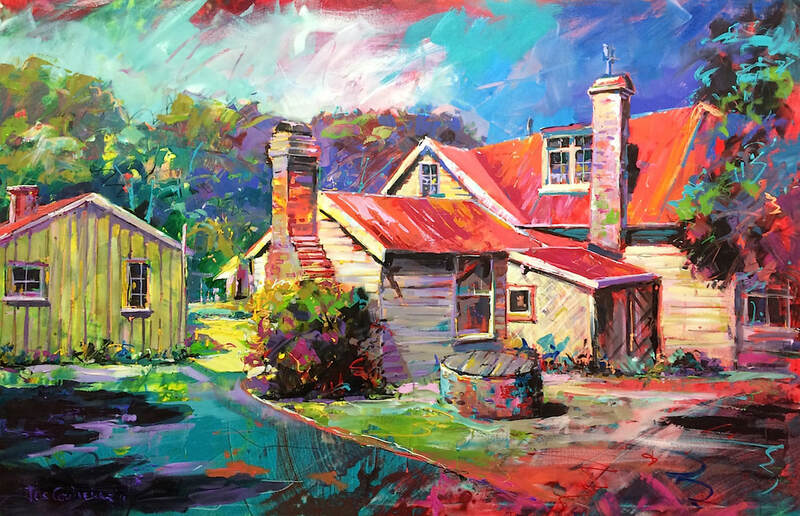 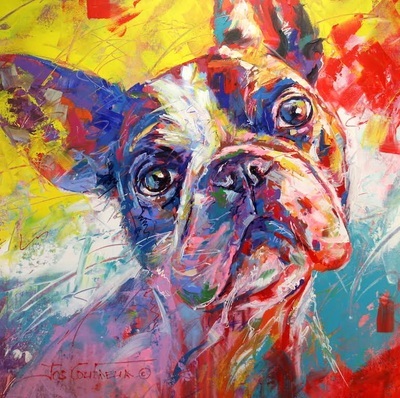 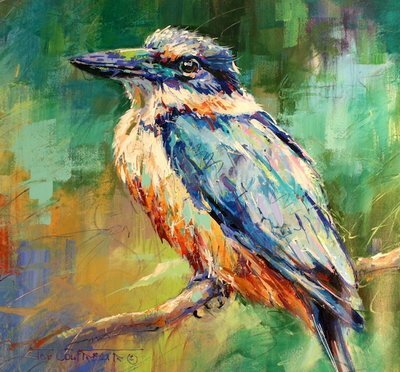 "I paint spontaneously, letting the colours form the picture..."
Jos specialises in customised portraits and landscapes, executed in his renowned vibrant and energetic style. 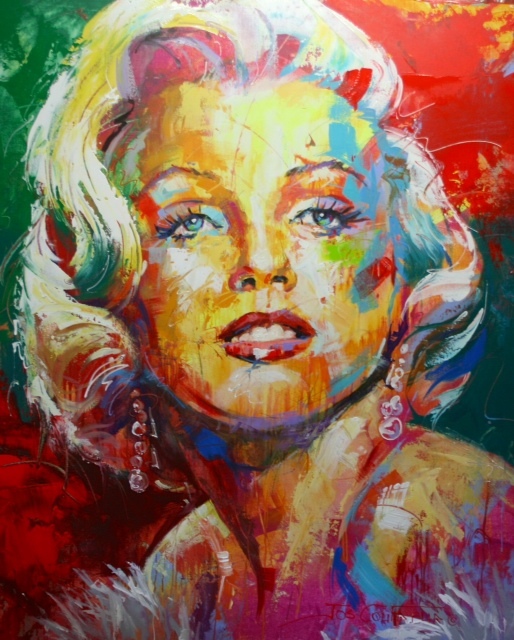 Contact Black Door Gallery to learn more about how we can facilitate the creation of a truely unique work of art from this acclaimed artist.